It's been a little quiet around here lately, but someone left the door unlocked, and I had to come in say hi. You will see me around here once in a while, offering my perspective on all things BlackBerry. I am by no means an expert, but I am a veteran of the cell phone wars, one of the few people in this city who still choose BlackBerry. I will begin by telling you a little about myself and why I am writing for BlackBerryOS.com. I have been a BlackBerry user since 2005; my first job out of college was doing facilities maintenance at an engineering office in Seattle. I was thrilled to have my own desk and my own computer, and room to set all my tchotchkes. Then, one of the IT guys stopped by my desk and asked me if I'd like to set up my BlackBerry. Well, well, well . 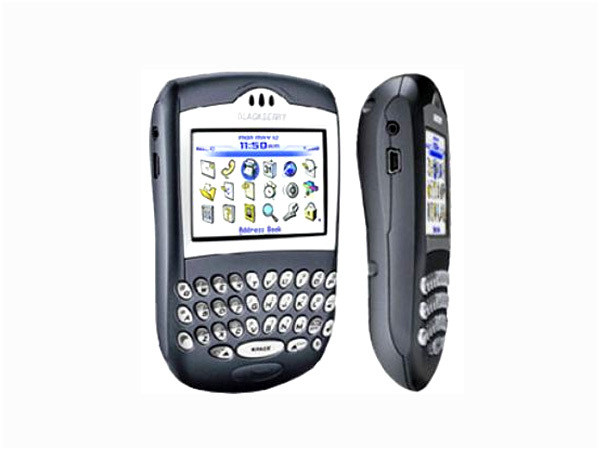 . .
Now, I had seen a few people using BlackBerry devices before, but only upper management, squinting at the tiny screen of their 7280's. Using a BlackBerry was a symbol: you were important; you were necessary. When they handed me my first 7290 (on Cingular Wireless), I was suddenly free to move about the cabin, so to speak. I went to great pains to make sure everyone knew I was emailing, calling, texting, and BBMing them from my shiny new 7290. Over the next five years, I would move on to the 8703e; the venerable 8330, one of the best one-handed BlackBerry devices ever built. Finally, I upgraded my personal flip phone to a 9330m, probably one of my least favorite devices that I've owned. It was sadly outdated when it was released, lacked basic features, and just couldn't keep up with the new wave of Androids hitting the market. I put up with it for two years, but then ditched it in March of 2013 when the fancy new Z10 launched. I remember walking into the Verizon store to find it; I also remember the rep who insisted on walking me through the setup, even though she knew nothing about it and had never used one. Since then, I've purchased a number of BlackBerry 10 devices; right now, I use a Z30 and that same Z10 that I bought nearly four years ago. I think I'll have to do a 4-year review on in the spring - the ultimate rundown. I don't need to remind you all the hoops we have to jump through to get our devices working the way we want them to, whether finding just the right autoloader for that hot new leak, or the ultimate bastardization, installing Google Play services so we can get Clash of Clans to run the battery down that much faster. There's a lot more to BlackBerry these days than devices and accessories, of course, so the question to you: what do you want talk about? Why are you here? What kind of device do you choose? See you around.